Cancer, a disease of altered gene expression, is the result of gene mutations or dramatic changes in gene regulation. Cancer results from a gene that is not normally expressed in a cell, but is switched on and expressed at high levels due to mutations or alterations in gene regulation. Alterations in histone acetylation, activation of transcription factors, increased RNA stability, increased translational control, and protein modification are all observed in cancer cells. Tumor suppressor genes, active in normal cells, work to prevent uncontrolled cell growth. Proto- oncogenes, which are positive cell-cycle regulators, can become oncogenes and cause cancer when mutated. Cancer can be described as a disease of altered gene expression. There are many proteins that are turned on or off (gene activation or gene silencing) that dramatically alter the overall activity of the cell. A gene that is not normally expressed in that cell can be switched on and expressed at high levels. This can be the result of gene mutation or changes in gene regulation ( epigenetic, transcription, post-transcription, translation, or post-translation). Changes in epigenetic regulation, transcription, RNA stability, protein translation, and post-translational control can be detected in cancer. While these changes do not occur simultaneously in one cancer, changes at each of these levels can be detected when observing cancer at different sites in different individuals. Therefore, changes in histone acetylation (epigenetic modification that leads to gene silencing), activation of transcription factors by phosphorylation, increased RNA stability, increased translational control, and protein modification can all be detected at some point in various cancer cells. Scientists are working to understand the common changes that give rise to certain types of cancer or how a modification might be exploited to destroy a tumor cell. In normal cells, some genes function to prevent excess, inappropriate cell growth. These are tumor suppressor genes, which are active in normal cells to prevent uncontrolled cell growth. There are many tumor suppressor genes in cells, but the one most studied is p53, which is mutated in over 50 percent of all cancer types. The p53 protein itself functions as a transcription factor. It can bind to sites in the promoters of genes to initiate transcription. Therefore, the mutation of p53 in cancer will dramatically alter the transcriptional activity of its target genes. Another type of gene often deregulated in cancers are proto-oncogenes which are positive cell-cycle regulators. When mutated, proto-oncogenes can become oncogenes and cause cancer. Overexpression of the oncogene can lead to uncontrolled cell growth because oncogenes can alter transcriptional activity, stability, or protein translation of another gene that directly or indirectly controls cell growth. An example of an oncogene involved in cancer is a protein called myc. Myc is a transcription factor that is aberrantly activated in Burkett’s Lymphoma, a cancer of the lymph system. Overexpression of myc transforms normal B cells into cancerous cells that continue to grow uncontrollably. High B-cell numbers can result in tumors that can interfere with normal bodily function. Patients with Burkett’s lymphoma can develop tumors on their jaw or in their mouth that interfere with the ability to eat. Proto-oncogenes Can Become Oncogenes: When mutated, proto-oncogenes can become oncogenes and cause cancer due to uncontrolled cell growth. Common in cancer cells, silencing genes, which occur through epigenetic mechanisms, include modifications to histone proteins and DNA. The DNA in the promoter region of silenced genes in cancer cells is methylated on cytosine DNA residues in CpG islands. Histone proteins that surround the promoter region of silenced genes lack the acetylation modification that is present when the genes are expressed in normal cells. When the combination of DNA methylation and histone deacetylation occur within cancer cells, the gene present in that chromosomal region is silenced. Epigenetic changes that are altered in cancer can be reversed and may, therefore, be helpful in new drug and therapy design. Cancer epigenetics is the study of epigenetic modifications to the genome of cancer cells that do not involve a change in the nucleotide sequence. Epigenetic alterations are as important as genetic mutations in a cell’s transformation to cancer. Mechanisms of epigenetic silencing of tumor suppressor genes and activation of oncogenes include: alteration in CpG island methylation patterns, histone modifications, and dysregulation of DNA binding proteins. Epigenetic Alterations in Cancer Cells: In cancer cells, silencing genes through epigenetic mechanisms is a common occurrence. Mechanisms can include modifications to histone proteins and DNA associated with these silencing genes. Silencing genes through epigenetic mechanisms is very common in cancer cells and include modifications to histone proteins and DNA that are associated with silenced genes. In cancer cells, the DNA in the promoter region of silenced genes is methylated on cytosine DNA residues in CpG islands, genomic regions that contain a high frequency of CpG sites, where a cytosine nucleotide occurs next to a guanine nucleotide. Histone proteins that surround that region lack the acetylation modification (the addition of an acetyl group) that is present when the genes are expressed in normal cells. This combination of DNA methylation and histone deacetylation (epigenetic modifications that lead to gene silencing) is commonly found in cancer. When these modifications occur, the gene present in that chromosomal region is silenced. Increasingly, scientists are understanding how these epigenetic changes are altered in cancer. Because these changes are temporary and can be reversed (for example, by preventing the action of the histone deacetylase protein that removes acetyl groups, or by DNA methyl transferase enzymes that add methyl groups to cytosines in DNA) it is possible to design new drugs and new therapies to take advantage of the reversible nature of these processes. Indeed, many researchers are testing how a silenced gene can be switched back on in a cancer cell to help re-establish normal growth patterns. Genes involved in the development of many other illnesses, ranging from allergies to inflammation to autism, are also thought to be regulated by epigenetic mechanisms. As our knowledge deepens of how genes are controlled, new ways to treat these diseases and cancer will emerge. Increased transcriptional activation of genes result in alterations of cell growth leading to abnormal gene expression, as seen in cancer. The mutations that activate transcription factors can increase the binding of a transcription factor to its binding site in a promoter leading to increased transcriptional activation of that gene and resulting in altered cell growth. A mutation in the DNA of a promoter or enhancer region may increase the binding ability of a transcription factor, which may then lead to the increased transcription and anomalous gene expression that is seen in cancer cells. Studying how to control the transcriptional activation of gene expression in cancer cells along with identifying how a transcription factor binds or a pathway activates where a gene can be turned off has led researchers to new drugs and novel ways of treating cancer. Many transcription factors, especially some that are proto-oncogenes or tumor suppressors, help regulate the cell cycle and, as such, determine how large a cell will get and when it can divide into two daughter cells. Alterations in cells that give rise to cancer can affect the transcriptional control of gene expression. Mutations that activate transcription factors, such as increased phosphorylation, can increase the binding of a transcription factor to its binding site in a promoter. This could lead to increased transcriptional activation of that gene that results in modified cell growth. Alternatively, a mutation in the DNA of a promoter or enhancer region can increase the binding ability of a transcription factor. This could also lead to the increased transcription and aberrant gene expression that is seen in cancer cells. Transcription Factors: Transcription factors, especially some that are proto-oncogenes or tumor suppressors, help regulate the cell cycle; however, when regulation gives rise to cancer cells, then transcriptional control of gene expression is affected. Researchers have been investigating how to control the transcriptional activation of gene expression in cancer. Identifying how a transcription factor binds, or a pathway that activates where a gene can be turned off, has led to new drugs and new ways to treat cancer. In breast cancer, for example, many proteins are overexpressed. This can lead to increased phosphorylation of key transcription factors that increase transcription. One such example is the overexpression of the epidermal growth factor receptor (EGFR) in a subset of breast cancers. The EGFR pathway activates many protein kinases that, in turn, activate many transcription factors that control genes involved in cell growth. New drugs that prevent the activation of EGFR have been developed and are used to treat these cancers. Modifications, such as the overexpression of miRNAs, in the post-transcriptional control of a gene can result in cancer. Specific cancers have altered expression of miRNAs; changes in the miRNA population of particular cancers varies depending on the type of cancer. Having too many miRNAs can dramatically decrease the RNA population leading to a decrease in protein expression. Studies have found that some miRNAs are specifically expressed only in cancer cells. Post-transcriptional regulation is the control of gene expression at the RNA level; therefore, between the transcription and the translation of the gene. After being produced, the stability and distribution of the different transcripts is regulated (post-transcriptional regulation) by means of RNA-binding proteins (RBP) that control the various steps and rates of the transcripts: events such as alternative splicing, nuclear degradation (exosome), processing, nuclear export (three alternative pathways), sequestration in DCP2-bodies for storage or degradation, and, ultimately, translation. Changes in the post-transcriptional control of a gene can result in cancer. Recently, several groups of researchers have shown that specific cancers have altered expression of microRNAs (miRNAs). miRNAs bind to the 3′ UTR or 5′ UTR of RNA molecules to degrade them. Overexpression of these miRNAs could be detrimental to normal cellular activity. An increase in many miRNAs could dramatically decrease the RNA population leading to a decrease in protein expression. Several studies have demonstrated a change in the miRNA population in specific cancer types. It appears that the subset of miRNAs expressed in breast cancer cells is quite different from the subset expressed in lung cancer cells or even from normal breast cells. This suggests that alterations in miRNA activity can contribute to the growth of breast cancer cells. These types of studies also suggest that if some miRNAs are specifically expressed only in cancer cells, they could be potential drug targets. It would, therefore, be conceivable that new drugs that turn off miRNA expression in cancer could be an effective method to treat cancer. MicroRNA: Overexpression of miRNAs could be detrimental to normal cellular activity because miRNAs bind to the 3′ UTR of RNA molecules to degrade them. Specific types of miRNAs are only found in cancer cells. Cancer can arise from translational or post-translational modifications of proteins. Protein modifications from the increased translation of a protein to changes in protein phosphorylation to alternative splice variants of a protein are found in cancer cells. The expression of the wrong protein dramatically alters cell function and contributes to the progression of cancer. Gene regulation and gene function provide scientists with the opportunity to design medicines and therapies that specifically target diseased cells or exploit the overexpression of specific proteins as cancer treatment. There are many examples of translational or post-translational modifications of proteins that arise in cancer. Modifications are found in cancer cells from the increased translation of a protein to changes in protein phosphorylation to alternative splice variants of a protein. 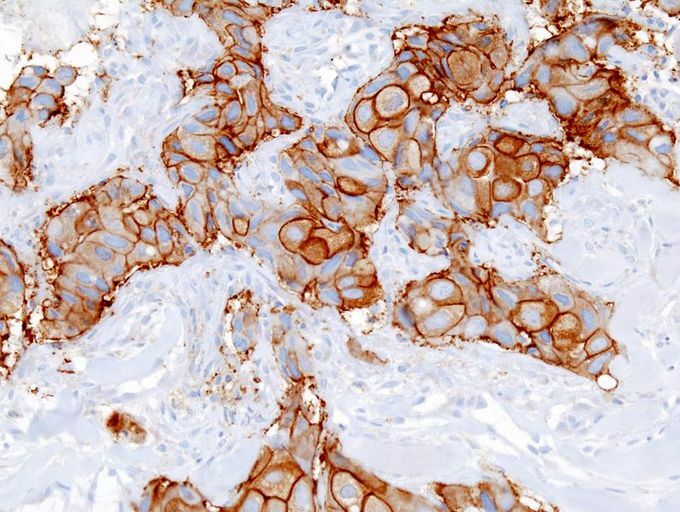 An example of how the expression of an alternative form of a protein can have dramatically different outcomes is seen in colon cancer cells. The c-Flip protein, a protein involved in mediating the cell death pathway, comes in two forms: long (c-FLIPL) and short (c-FLIPS). Both forms appear to be involved in initiating controlled cell death mechanisms in normal cells. However, in colon cancer cells, expression of the long form results in increased cell growth instead of cell death. Clearly, the expression of the wrong protein dramatically alters cell function and contributes to the development of cancer. Scientists are using what is known about the regulation of gene expression in disease states, including cancer, to develop new ways to treat and prevent disease development. Many scientists are designing drugs on the basis of the gene expression patterns within individual tumors. This idea, that therapy and medicines can be tailored to an individual, has given rise to the field of personalized medicine. With an increased understanding of gene regulation and gene function, medicines can be designed to specifically target diseased cells without harming healthy cells. Some new medicines, called targeted therapies, have exploited the overexpression of a specific protein or the mutation of a gene to develop a new medication to treat disease. One such example is the use of anti-EGF receptor medications to treat the subset of breast cancer tumors that have very high levels of the EGF protein. Undoubtedly, more targeted therapies will be developed as scientists learn more about how gene expression changes can cause cancer. Using Gene Expression in Targeted Therapy: Scientists are using knowledge of the regulation of gene expression in individual cancers to develop new ways to treat target diseased cells and prevent the disease from occurring. Target therapies exploit the overexpression of a specific protein or gene mutation to develop new medications against the specific cancer.